Elsie Howey, the daughter of Gertrude and Thomas Howey, rector of Finningley in Nottinghamshire, in 1884. She attended St Andrews University between 1902-1904. She lived for a while in Germany where she later claimed "she had first occasion to realise women's position." 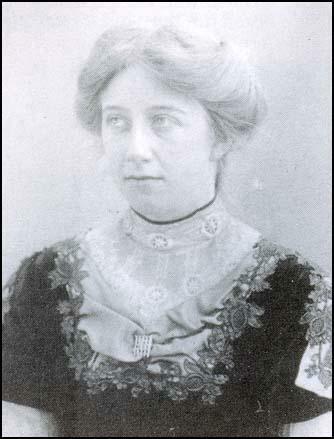 Howey joined the Women's Social and Political Union (WSPU) and in February 1908 she was arrested for taking part in a demonstration outside the House of Commons. She was sentenced to six weeks' imprisonment and when released on 18th March. In May 1908, she joined Mary Blathwayt and Annie Kenney to help at a by-election in Shropshire. Blathwayt wrote in her diary: "This afternoon I helped Annie Kenney make her plans for a West of England campaign, I wrote out lists of towns and dates which are to be sent to Mrs. Pankhurst and Mrs. Pethick Lawrence. This evening Miss Howey went round the town with some steps, and I went with her. And when we came to a crowd she got onto the steps and shouted Keep the Liberal out. Votes for Women". 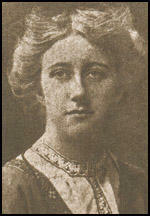 Elsie Howey was arrested for the second time after taking part in a demonstration outside the home of Herbert Asquith. She was sentenced to three months' imprisonment. On her release she and Vera Wentworth were met at the gates of Holloway Prison and then drawn by 50 women on a carriage to Queen's Hall. On her arrival she was presented with bouquets in the suffragette colours and with illuminated scrolls designed by Sylvia Pankhurst to commemorate their imprisonment. Emmeline Pethick-Lawrence wrote an article in Votes for Women in February 1909: "I say to you young women who have private means or whose parents are able and willing to support you while they give you freedom to choose your vocation. Come and give one year of your life to bringing the message of deliverance to thousands of your sisters... Miss Elsie Howey is honorary organiser in Plymouth. She is the daughter of Mrs. Howey, of Malvern. Mrs. Howey and her two daughters have given generously of all that they have, but the best prized gift is the life-work of this noble girl who has undergone two periods of imprisonment for the sake of women less privileged and happily placed than herself. She is one of our most able and successful organisers, and takes all the duties and responsibilities of our chief officers." Howey, who was described by the mother of Mary Blathwayt as being "a wonderful speaker" went to work with Annie Kenney who was based in Bristol. During this period she was a visitor to Eagle House at Batheaston. Others who spent time at Blathwayt's house included Christabel Pankhurst, Clara Codd, Constance Lytton, Vera Wentworth, Jessie Kenney, Annie Kenney, Clare Mordan and Helen Watts. Colonel Linley Blathwayt photographed the women. These were then signed and sold at WSPU bazaars. He also invited them to plant a tree to commemorate their prison sentences and hunger strikes. On 16th April 1909 Howey rode as Joan of Arc at the head of the procession to welcome Emmeline Pethick-Lawrence on her release from Holloway Prison. On 30th July she was arrested with Vera Wentworth for demonstrating at a meeting held in Penzance by Lord Carrington. They were sentenced to seven days' imprisonment and both women went on hunger strike. Howey fasted for 144 hours and on her release she went to stay at Eagle House at Batheaston. On 5th September she was involved with Vera Wentworth and Jessie Kenney in assaulting Herbert Asquith and Herbert Gladstone while they were playing golf. Emily Blathwayt was horrified by this increase in violence. On 7th September she wrote in her diary: "We hear of terrible things by the two Hooligans we know, Vera and Elsie and there is a Kenney in it. They made a regular raid on Mr. Asquith breaking a window and using personal violence. Then missiles have been thrown lately through windows during Cabinet Members meetings which might injure or kill innocent persons." The following day Emily Blathwayt sent a letter to the WSPU headquarters: "Dear Madam, with great reluctance I am writing to ask that my name may be taken off the list as a Member of the W.S.P.U. Society. When I signed the membership paper, I thoroughly approved of the methods then used. Since then there has been personal violence and stone throwing which might injure innocent people. When asked by acquaintances what I think of these things I am unable to say that I approve, and people of my village who have hitherto been full of admiration for the Suffragettes are now feeling very differently. Colonel Linley Blathwayt wrote to Christabel Pankhurst complaining about the behaviour of Elsie Howey and Vera Wentworth and suggested that they would no longer be welcome at Eagle House. Colonel Blathwayt also wrote letters to Wentworth and Howley about their behaviour. He said that "an attack on one undefended man by three women was an act I did not expect from the Society". According to Emily Blathwayt, they received a "long letter from Vera Wentworth who is very sorry we are grieved but if Mr. Asquith will not receive deputation they will pummel him again." She also claimed that Herbert Gladstone gave Jessie Kenney "a nasty blow in the chest". Howey was arrested with Constance Lytton on 14th January 1910 and sentenced to six weeks' hard labour. Votes for Women described Howey as: "A devoted honorary organiser who gives the whole of her services and the whole of her life to the Cause. She is a beautiful, refined, and charming girl." 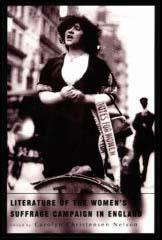 Howey was inactive in 1911 but was arrested again in March 1912 when she took part in the WSPU window-smashing campaign. She was found guilty and sentenced to four months' imprisonment. At the end of 1912 she was back in Holloway Prison for setting-off a fire-alarm. She went on hunger strike and was forcibly fed. Elsa Gye commented that the injuries inflicted during the force-feeding meant that "her beautiful voice was quite ruined." In June 1913 Howey played the role of Joan of Arc at the funeral of Emily Wilding Davison. 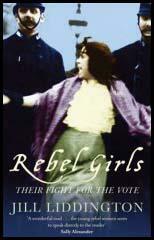 Her biographer, Krista Cowman, wrote: "Tired and ill, Elsie vanished from public life when militancy ended in 1914. She remained in Malvern but followed no career, and never fully recovered from the sacrifices she made in the name of the WSPU. She died on 13 March 1963 at the Court House Nursing Home, Court Road, Malvern, from chronic pyloric stenosis, almost certainly connected to her numerous forcible feedings." I say to you young women who have private means or whose parents are able and willing to support you while they give you freedom to choose your vocation. Come and give one year of your life to bringing the message of deliverance to thousands of your sisters... Put yourself through a short course of training under one of our chief officers or at headquarters in London, and then become one of our honorary staff organisers. Miss Annie Kenney, in the West of England, has two such honorary organisers. Miss Blathwayt is the only daughter of Colonel Linley Blathwayt, of Bath. Yet her parents have set her free with their fullest approbation and sympathy, and with a generous allowance, to devote her whole time to the work. She is Miss Kenney's right hand in Bristol. Miss Elsie Howey is honorary organiser in Plymouth. She is the daughter of Mrs. Howey, of Malvern. Mrs. Howey and her two daughters have given generously of all that they have, but the best prized gift is the life-work of this noble girl who has undergone two periods of imprisonment for the sake of women less privileged and happily placed than herself. She is one of our most able and successful organisers, and takes all the duties and responsibilities of our chief officers. Bristol. We were on a lorry and a large crowd of children were waiting for us when we arrived. Things were thrown at us all the time; but when we drove away at the end we were hit a great many times. Elsie Howey had her lip hit and it bled. I was hit by potatoes, stones, turf and dust. Something hit me very hard on my right ear as I was getting into our tram. Someone threw a big stone as big as a baby's head; it fell onto the lorry. Elsie Howey, Vera Wentworth and Mary Phillips were arrested at Exeter and imprisoned for a week and it is said they are going through the hunger strike as the 14 have done. The crowds were with them outside Lord Carrington's meeting and all resisted police and two working men were arrested. The women would not pay the fine. Annie Kenney expects to be taken soon herself, and asked Mary to go and manage for her in Bristol. Linley and I went in pouring rain to the Tollemaches who had a tent beyond their house and Mr. Laurence Housman gave a very good address on Women's Suffrage... The lecturer said he could not say anything against militant methods as the women had been driven to it by the non-action of the men. I cannot feel quite the same. We hear of terrible things by the two Hooligans we know, Vera and Elsie and there is a Kenney in it. They made a regular raid on Mr. Asquith breaking a window and using personal violence. Then missiles have been thrown lately through windows during Cabinet Members meetings which might injure or kill innocent persons. This morning I posted the following to the Sec. 4 Clement's Inn. "Dear Madam, with great reluctance I am writing to ask that my name may be taken off the list as a Member of the W.S.P.U. Society. When I signed the membership paper, I thoroughly approved of the methods then used. Since then there has been personal violence and stone throwing which might injure innocent people. When asked by acquaintances what I think of these things I am unable to say that I approve, and people of my village who have hitherto been full of admiration for the "Suffragettes" are now feeling very differently. I shall continue to do what I can to help, but I cannot conscientiously say now that I approve the methods used by several of the members... Later on Linley wrote to Christabel Parkhurst expressing something of the same views and he said how could he again be seen driving Elsie and Vera. They seem to have behaved very badly. Have sent a cutting to Christabel and told her about my personal observation of Vera Wentworth and Elsie Howley. If she allows them to go on any more raids she has been warned. Linley is writing to Annie Kenney and appeals to her to do nothing violent. Vera Wentworth sent Linley a tardy acknowledgement of the photo he sent and hopes he was not shocked at their punching Asquith's head. I am writing back coldly, saying how grieved he is at the late actions and the stone throwing; telling how I was obliged to leave as I could no longer "approve the methods" and finishing "An attack on one undefended man by three women was an act I did not expect from the Society". Last time Vera and Elsie left here I promised myself they should never come again if it were only on account of the reckless destruction of other people's property.